SEO, which stands for search engine optimization, is one of the most significant tools in digital marketing. It’s incremental in customers and clients finding your company and purchasing the products or services you offer. Some argue that SEO began with the launch of the first website (which was published in 1991), but SEO’s story really started around 1997. Optimizing for organic search results is a landscape that is ever-evolving, and it’s important to know just how it’s evolving so that you and your business can make the most of your digital marketing strategies. For this reason, we wanted to take a look at some of the 2019 SEO trends we’re seeing. With the introduction of Siri (2011) and Alexa (2014), we’re all asking questions directly into our devices. What does this mean for SEO, it means that fewer people are typing in their questions and instead are asking their devices. This translates to companies needing to enhance their keywords and keyphrases to be more conversational. If you’re creating content for your company and looking to optimize it for organic search results, ask yourself, what question does your content answer. Starting with this framework is an excellent way to start optimizing content. Google wants users to find the exact information they are looking for – and find it quickly. They’re regularly updating their algorithm for users to identify what they want based on the intent of their keyword. This means that Google wants to determine exactly what you want (for example – whether you are looking to immediately buy a product or look around for product options). Google anticipates what you want through your intent. Sound a little scary? Anticipating what users are looking for – whether online or even in-person at retail stores (Smart Retail) is one of the biggest trends we’re seeing in 2018 – just take a look at what our CEO saw out at CES 2019 (Check out #7 on her list). Featured results or featured snippets are becoming extremely popular on Google. It’s so easy for the consumer because the answer is the first thing that pops up. 41% of questions now have featured snippets, which is almost half! If you are looking to get your company featured, focus on the questions most asked about your industry – and develop a content strategy around these questions. This will be the best chance you have for being featured, as Google programmatically determines which pages answer these questions. Web traffic has made a significant shift to mobile throughout the last few years. Which means if you don’t have a mobile-friendly website, it will hurt your organic rankings with Google. In 2018, 52.2% of all worldwide online traffic was generated through mobile phones. How does your website hold up for mobile? Take a look at it if you haven’t already, or reach out to Excite for a free evaluation and consultation on how you can make your site more mobile-friendly. While mobile optimization isn’t a new trend, it’s definitely continuing to be one of the important 2019 SEO trends we’re seeing (in our opinion – the most important). Social media doesn’t have a direct impact on your search rankings, but it does affect your SEO efforts in four primary ways: increased online visibility (and thus traffic to your website), increased authority and brand recognition, wider content distribution (and an opportunity for a longer content lifespan), and lastly increased visibility with local SEO. Business listings on search results are put together based on how your business is listed across the web (for this reason you want to be sure your site and all your social media profiles for your business, show the correct name, address, and phone number). Furthermore, each of your social profiles should have a keyword and/or keyphrase-rich description of the services your company offers. Google wants to keep us safe! Have you noticed how at the beginning of many URLs – you’re now seeing HTTPS instead of HTTP? HTTPS stands for Hyper Text Transfer Protocol Secure – and it’s the secure version of HTTP, the protocol over which data is sent between your browser and the website you’re viewing. Take a look up in the URL window of your browser, you’ll see a little padlock graphic to the left of the URL. This shows that the website is secure. If you don’t see this – or you see a website using HTTP, it means the website is not secure. Google is urging everyone towards using HTTPS, and in doing so – many sites that do not use HTTPS are finding that their organic search rankings are falling with Google. Google Chrome even puts a “Not Secure” in place of the lock graphic on sites which use HTTP, which can further hurt the appearance of your business to those clients and customers that are viewing your website. Does your company have an SEO strategy? 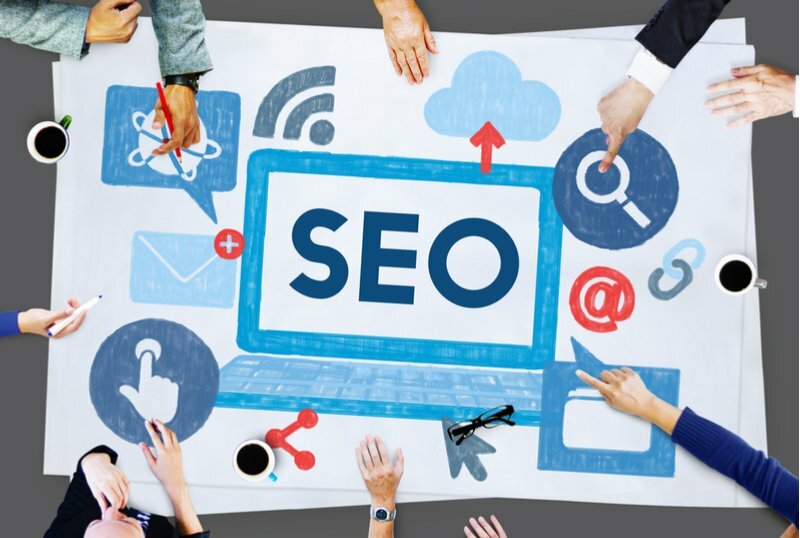 Are you utilizing these 2019 SEO trends? Make the most out of your online presence, and reach out to Excite for a free consultation.